The greenhouse which can be seen from this window is just one example of the many designed by Norwich firm Boulton and Paul. 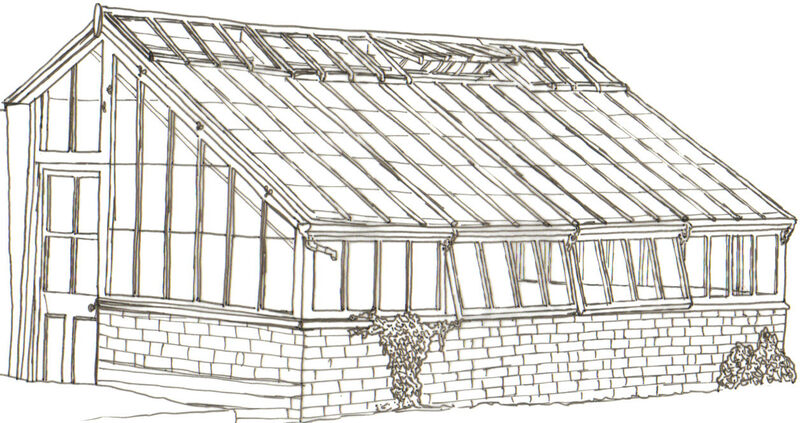 From humble beginnings as an ironmongers shop making kettles and fire grates, by the end of the 19th century the company were prefabricators of every sort of building, the main suppliers of greenhouses, aviaries and conservatories of the day. By 1900 Boulton and Paul employed more than 350 men at their Rose Lane Works and exported their range across the world to Britain’s colonies. Some of the company’s products found use closer to home though. This greenhouse was bought by Capt. H. D. Longe shortly after the Longe family took ownership of the hall and gardens in 1904, while the conservatory directly beneath this window, also made by Boulton and Paul, was put up around the same time. Elsewhere on the museum site you can find the Great Moulton Chapel, an example of one of the company’s tin tabernacles.